It sounds great, can operate on battery power, and comes with a charging dock. I’m a big fan of Amazon’s Echo line of smart speakers when it comes to smart home control, and the second-generation Echo is a big improvement over the first. But the Alexa-powered Fabriq Chorus delivers more bang for the buck and it sounds better, too. 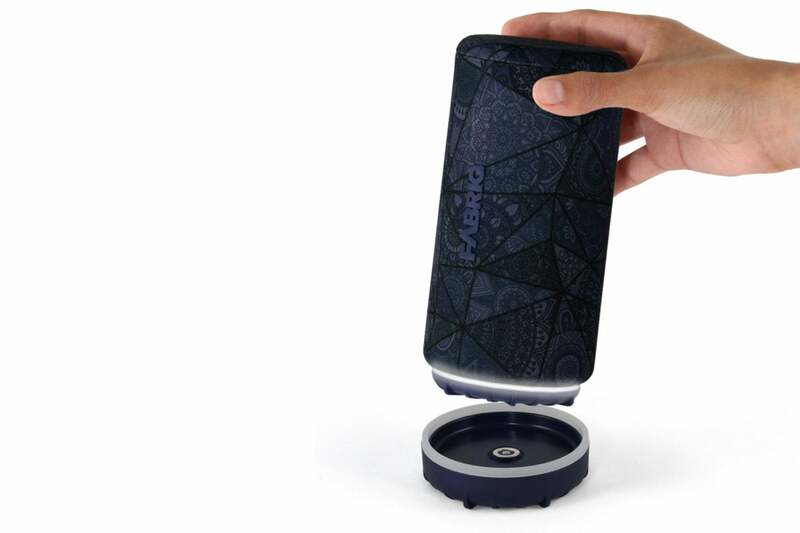 Where the Echo requires an AC outlet to operate, the Chorus features a 2200mAh rechargeable battery that Fabriq says can deliver up to 6 hours of performance, so you can take the speaker with you. The Chorus also comes with a contact-based charging cradle, so you don’t need to bother with plugging and unplugging a USB cable to run the speaker—or charge its battery. 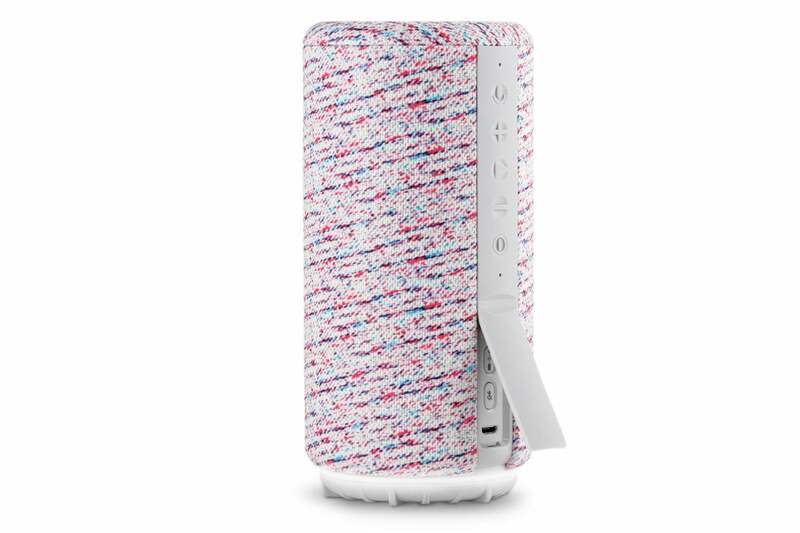 The 6.3-inch tall cylindrical speaker is wrapped in wooly fabric (you can choose from four designs), with a thin LED ring around its base. Buttons embedded in a vertical strip of silicone on its back are provided for volume up, volume down, power, play/pause, and power. 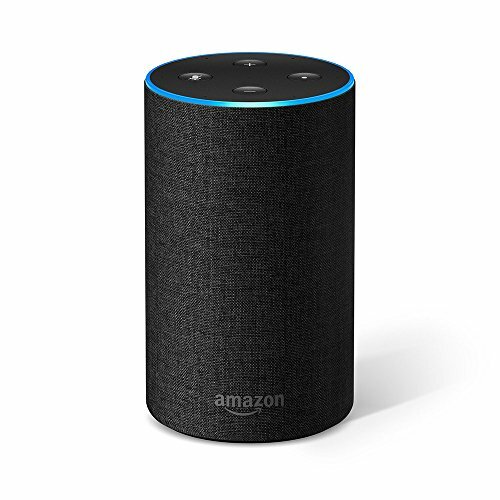 There’s also a button for activating the onboard mic to summon Alexa, but you can get the digital assistant’s attention by simply uttering her name. The speaker never failed to pick up my voice asking for Alexa’s attention, even when playing music loudly, automatically dimming the music until my request was acknowledged and then returning the music to its previous level. The top-mounted buttons on Echo speakers are easier to use, but the absence of a cord on the Chorus makes it easy to pick up so you can push its buttons. Buttons for controlling the Chorus are on a silicone strip in back. Mic mute and Bluetooth pairing buttons, along with a micro-USB power port, are hidden beneath a flap. Lift the bottom of this strip and you’ll find a micro-USB port for running the Chorus and charging its battery, a button for muting its far-field mic, and a second button for Bluetooth pairing. If you take the speaker on the road and you don’t want to connect it to a Wi-Fi hotspot to enable Alexa, you can stream music from your smartphone. Unlike Amazon’s speaker, however, the Chorus lacks an analog-audio output. This means you can’t drive a superior powered outboard speaker with it, but the speaker is good enough on its own that I don’t see that as a major shortcoming. As with every other Alexa-compatible speaker not built by Amazon, however, you’re limited in the music services you can ask Alexa to stream music to. You can use Amazon’s own music services, for instance, but not Spotify. This limitation isn’t present if you stream Spotify over a Bluetooth connection, although you’ll get higher fidelity over a Wi-Fi connection—plus the ability to stream to as many as 10 Alexa-compatible speakers at the same time. The Chorus is much more musical than any of the Echo speakers I’ve listened to so far. Outfitted with a pair of 2.0-inch full-range drivers and a 2.0 passive radiator, it delivers excellent bass response for its size. Listening to the title track of Mark Knopfler’s album Shangri La streaming over Wi-Fi, I much preferred its frequency response and dynamic range over Amazon’s speakers. Knopfler’s vocals sounded much fuller, and his guitar work came across with much more detail. The new Alexa-compatible Sonos One remains my top pick in this category, as Sonos has the best multi-room speaker implementation by far, but that speaker costs twice as much as this one. In terms of bang for the buck, the Fabriq Chorus is hard to beat. If you don’t mind not being able to ask Alexa to stream music from Spotify, the $99 Fabriq Chorus is an exceptional value among Echo-compatible speakers.